How to tell if companies in the gaming industry are utilising their Social Media Marketing effectively? Vlogging – otherwise known as ‘vlogging’. A vlog is primarily a blog in video form and can be posted on any video-sharing website, where others can view, subscribe and comment on them (Gao et al, 2010). Usually showing the persons day to day life and film in personal locations such as their home or bedroom (Snelson, 2013). Personality Endorsement – Companies spend large sums to hire celebrities to endorse their products and brands (Lee & Thorson, 2008 cited in Mishra et al, 2015). Celebrity endorsement influences advertising effectiveness, brand recognition, brand recall, purchase intentions and even purchase behaviour (Spry et al, 2011). These result in an individual’s adopting the attitude advocated by the communicator, identification occurs when individuals conform to the attitude or behaviour advocated by another person because these individuals derive satisfaction from the belief that they are like that person (Choi & Rifon, 2012). Leading to consumers wanting to be like their idols and emulate their behaviour, which is buying the product they endorse. This a great starting framework, as it provides a basis and makes critical sense of the idea. Leading to consumers wanting to be like their idols and emulate their behaviour, which is buying the product they endorse. 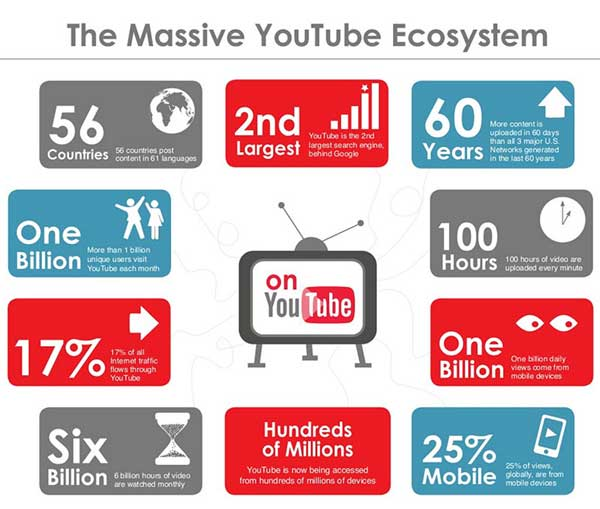 YouTube is the 2nd most popular website worldwide, behind Google according to Alexa.com (2018). 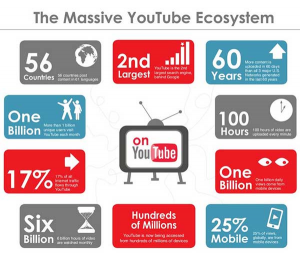 YouTube is the main platform that vloggers use, as it offers the widest number of consumers and views so is the most effective choice. Give them creative control – They know what’s best for their audience, so they could produce an advert that is more suitable and powerful to their audience and could be more effective. 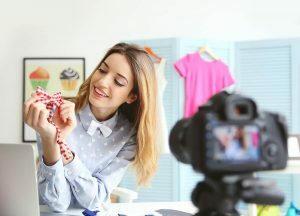 Find influencers who genuinely love your products – If the vlogger gives a genuine view out to their audience, then the audience is more likely to believe that the vlogger actually cares for the product. Believing that their view is trustworthy. Doesn’t have to be a huge following – As long as you believe that your chosen influencer is best suited to your product, then they don’t have to have the biggest following. It’s more important to have a relatable audience. 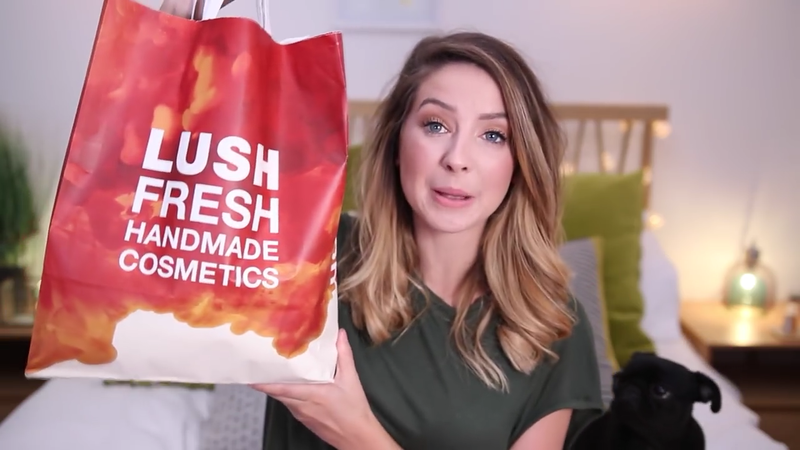 Zoella showing off her Lush products in one of her Vlogs. When using vloggers or celebrities to endorse a product you have to remember that there are guidelines that have to be followed under UK law (Aldridge, 2015). The ASA provide an extensive list of scenarios to make sure you follow the guidelines correctly and to allow the vlogger to have a leg to stand on against aggressive companies (ASA, 2015). When endorsing a person to promote your product, you as a company are not in control of their actions or life choices. Sometimes celebrities can have negative press which is uncontrollable. 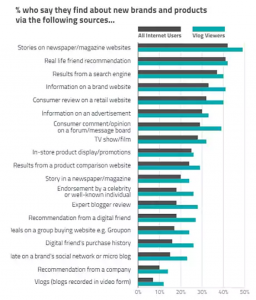 These can affect the validity of the endorsement and in some cases create negative effects on your brand perception. Can cause stock prices to dramatically fall if the event is catastrophic enough. After the Tiger Woods scandal Accenture stock prices fell 2.9% (Brower & Hoffman, 2010). You have to be wary of Bloggers getting to carried away in their stardom lifestyle and getting a bad reputation, like the recent drama with vlogger Logan Paul after launching a video feature a person who had just committed suicide. Celebrities overshadowing the Brand – You have to be wary of celebrities having a negative effect on your brand. In the past some consumers have only remembered an advert because of the celebrity and forgot to even register that they are trying to market a product. Having their image as the focal point of advertising devalues many products. For example, do you remember the brand, or do you remember David Beckham? (FrogDog, 2013). It may be an obvious risk, however to hire a celebrity to endorse your product costs a considerable sum of money, so it’s key to evaluate whether the risk will pay off. 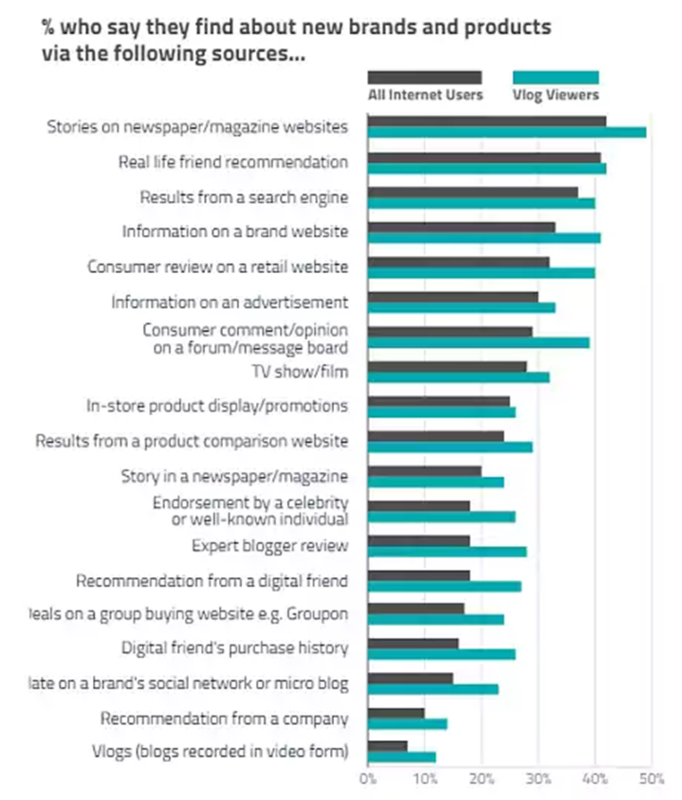 Especially with Vloggers being the least effective source of product discovery, with just 7% of all internet users finding out about new brands, products and services via vlogs (Davidson, 2015). Alexa.com. (2018). Alexa Top 500 Global Sites. [online] Available at: https://www.alexa.com/topsites [Accessed 19 Feb. 2018]. ASA (2015). New vlogging advertising guidance. [online] Asa.org.uk. Available at: https://www.asa.org.uk/news/new-vlogging-advertising-guidance.html [Accessed 19 Feb. 2018]. Brower, K. A., & Hoffmann, K. (2010). Accenture CEO Doesn’t Plan to Rehire Tiger Woods after Apology. Bloomberg Business. February 24, 2010. Choi, S. and Rifon, N. (2012). It Is a Match: The Impact of Congruence between Celebrity Image and Consumer Ideal Self on Endorsement Effectiveness. Psychology & Marketing, 29(9), pp.639-650. Davidson, L. (2015). 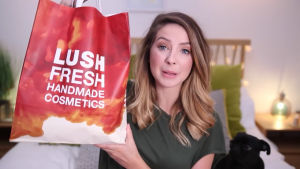 Why vloggers are a waste of time and money for brands. [online] Telegraph.co.uk. Available at: http://www.telegraph.co.uk/finance/newsbysector/mediatechnologyandtelecoms/11393587/Why-vloggers-are-a-waste-of-time-and-money-for-brands.html [Accessed 20 Feb. 2018]. FrogDog. (2013). The Advantages and Disadvantages of Celebrity Endorsements – FrogDog. [online] Available at: http://frog-dog.com/the-advantages-and-disadvantages-of-celebrity-endorsements/ [Accessed 20 Feb. 2018]. Gao, W., Tian, Y., Huang, T. and Yang, Q. (2010). Vlogging: a survey of videoblogging technology on the web. ACM Computing Surveys, 42(4), pp.1-57. Kelman, H. (1961). Processes of Opinion Change. Public Opinion Quarterly, 25(1), p.57. Leaver, C. (2016). 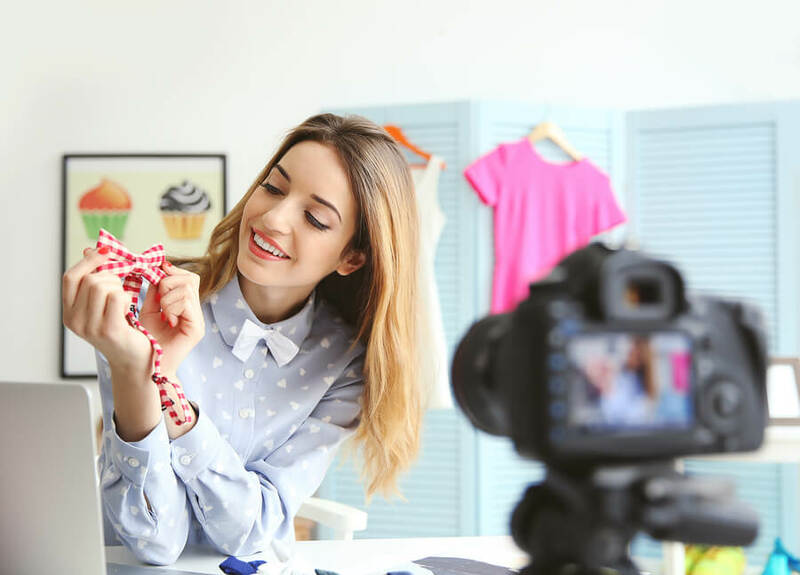 Bloggers & Vloggers: The Role of the Influencer | After Digital. [online] After Digital. Available at: https://afterdigital.co.uk/blog/bloggers-vloggers-the-role-of-the-influencer/ [Accessed 19 Feb. 2018]. Lee, J. and Thorson, E. (2008). 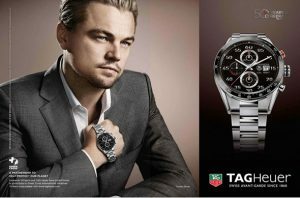 The Impact of Celebrity–Product Incongruence on the Effectiveness of Product Endorsement. Journal of Advertising Research, 48(3), pp.433-449. Marr, W. (2014). Vlogging on: Over-20s may never have heard of them, but to tween-and teenagers these prolific video bloggers are worthy of mobbing. Telegraph Magazine. Miciak, A. (1994). Choosing celebrity endorsers. Marketing management, 3, pp.51-59. Mishra, A., Roy, S. and Bailey, A. (2015). Exploring Brand Personality-Celebrity Endorser Personality Congruence in Celebrity Endorsements in the Indian Context. Psychology & Marketing, 32(12), pp.1158-1174. Patel, D. (2017). 3 Ways To Pick The Right Influencers When Marketing To Gen Z. [online] Forbes.com. Available at: https://www.forbes.com/sites/deeppatel/2017/05/25/3-ways-to-pick-the-right-influencers-when-marketing-to-gen-z/#485a19015131 [Accessed 19 Feb. 2018]. Snelson, C. (2013). Vlogging about school on YouTube: An exploratory study. New Media & Society, 17(3), pp.321-339. Spry, A., Pappu, R. and Bettina Cornwell, T. (2011). Celebrity endorsement, brand credibility and brand equity. European Journal of Marketing, 45(6), pp.882-909. Thwaites, D., Lowe, B., Monkhouse, L. and Barnes, B. (2012). The Impact of Negative Publicity on Celebrity Ad Endorsements. Psychology & Marketing, 29(9), pp.663-673.